Everybody’s rappin like it’s a commercial, acting like life’s a big commercial. Anyway, I love everything Beasties. 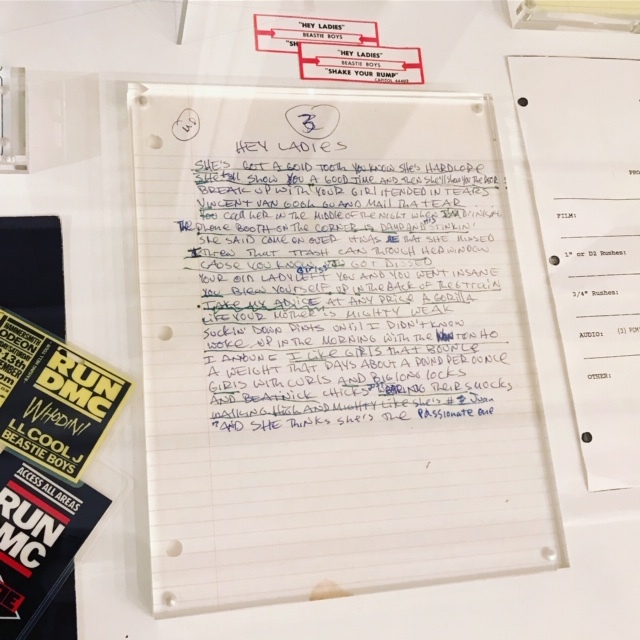 Licensed to Ill was my first record ever. I’ve been to too many concerts to count. I was a legal intern at Grand Royal. I have all of their Grand Royal magazines and my mural size poster of Paul’s Boutique. I’m like the old white guy with a mullet who still has their Van Halen poster up on their childhood room’s walls. I’m like the dude screaming FREE BIRD! Their beats and lyrics and stance on our social and political states put me on an all-time euphoric high. To me and to many, they are some of the country’s best cultural commentators, comedians, beat masters, lyricists and hip-hop trio. 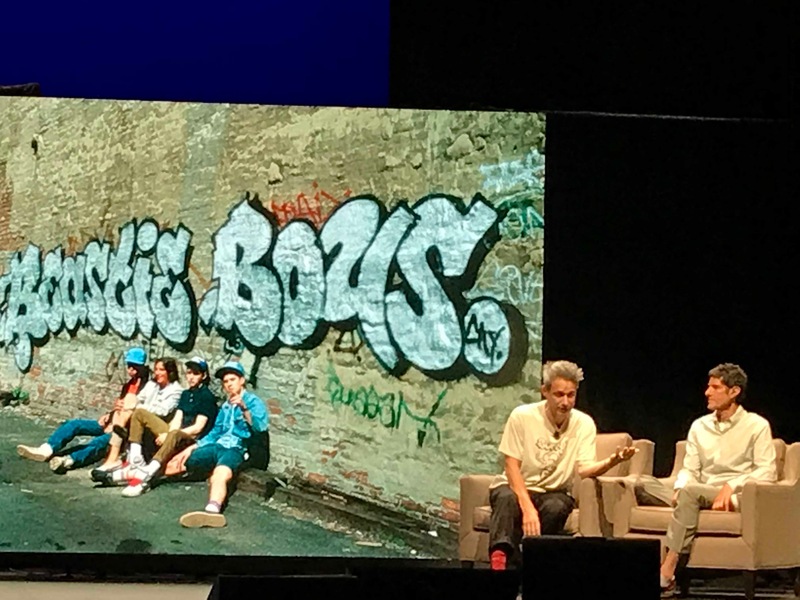 And today Adam Horovitz and Michael Diamond have a new Beastie Boys book out commemorating and explaining the sentiments, creative blueprint, mischief and jesting behind it all. I have both their hardcover book and its audio version — and I suggest to all of you that you do the same. 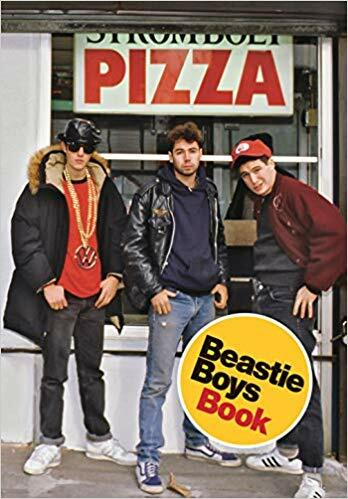 If only they created this book as one of those kids book, where the narrator (Mike D or Ad-Rock) narrates the story, then you hear a chime and you turn the page. That’s the only thing that could have made this new release better. Other than that, it’s body rockin’ perfection. 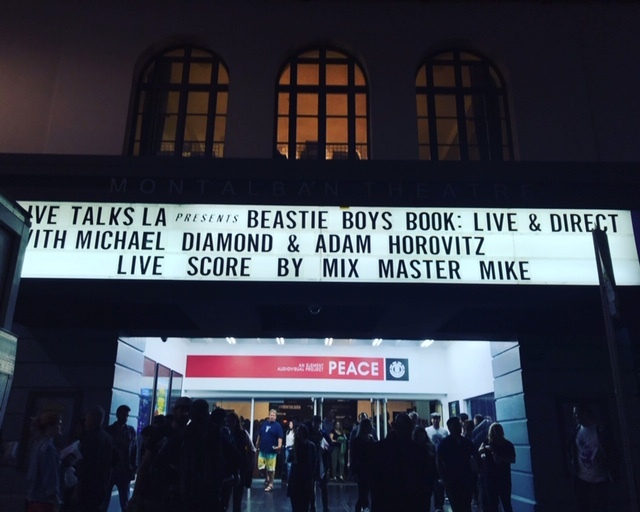 Mike D and Ad-Rock delivered an unbeatable two hours at the Live Talks LA book event at the Montalban earlier this month. They were the hardest tickets to get (I was online 15 minutes before they went on sale — and it was already sold out before I could get to my cart!) 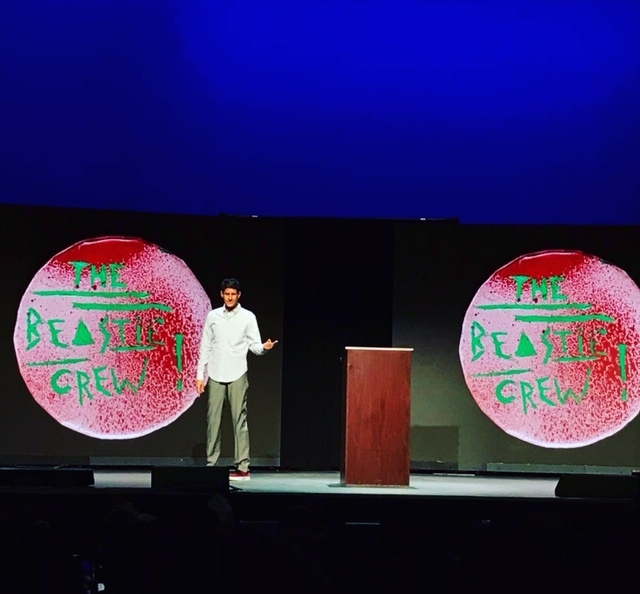 It made sense later at the guest list line that the entire a huge portion of the audience was reserved for John Silva. 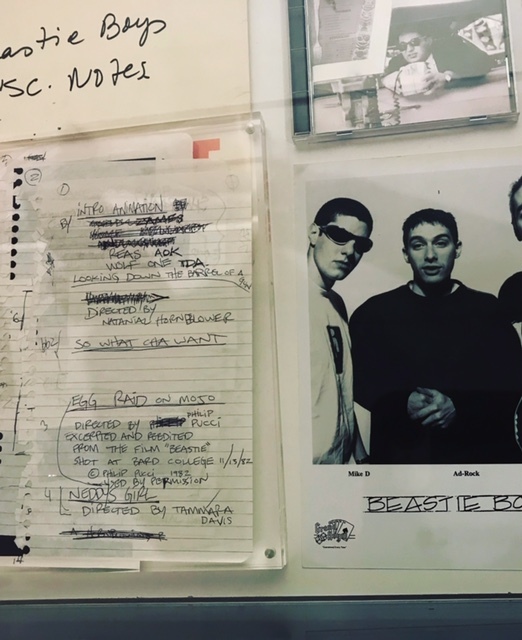 Aside from that – to add rad to rad, Mixmaster Mike music supervised the evening in a way he does best. Here is my photo journal of the evening. The evening started with a walk through the gallery. 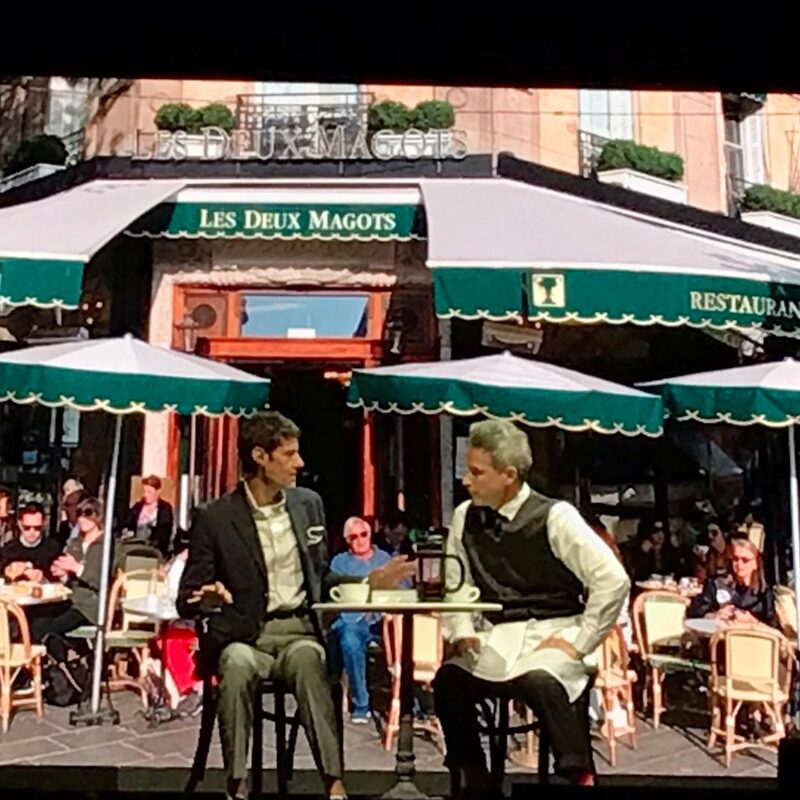 In quintessential Beasties manner, they opened up their performance/dialogue/banter at the Parisian Cafe, Les Deux Magots. 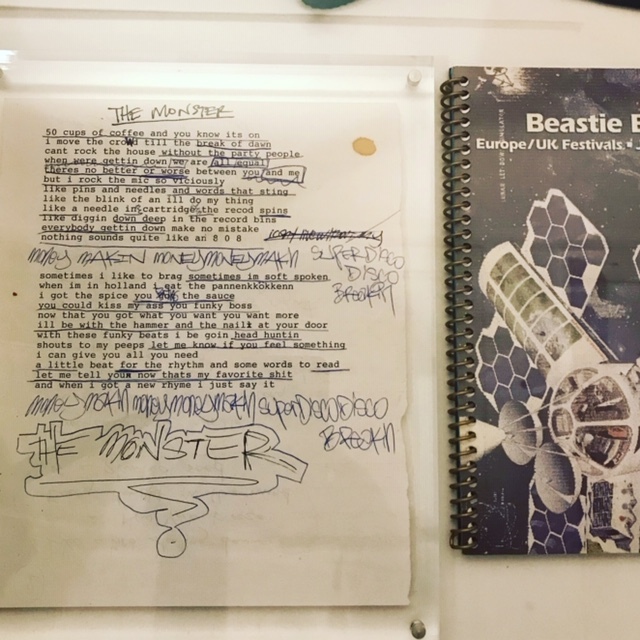 It was The Peach Pit for Picasso, Hemingway and Sartre – which just goes to show that the Beasties haven’t lost their touch. 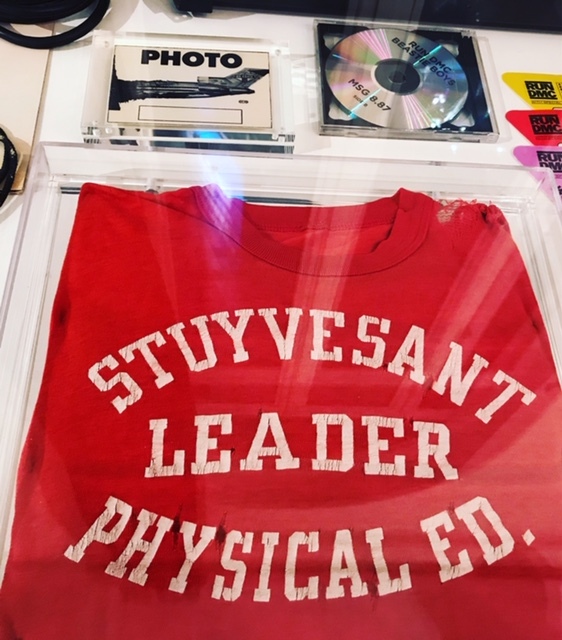 They have always loved irony, humor and self-deprecation. 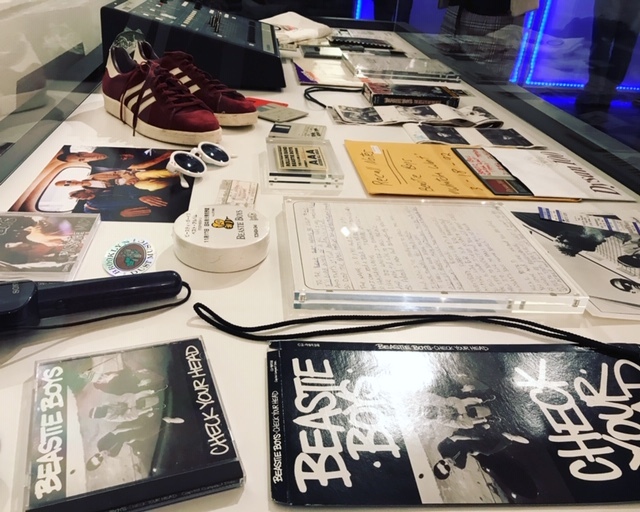 So it made sense that their humility, lack of pretention, lyrical bliss and subcultural residence resided in our world’s highest high brow setting. And there you go. Go get the book. 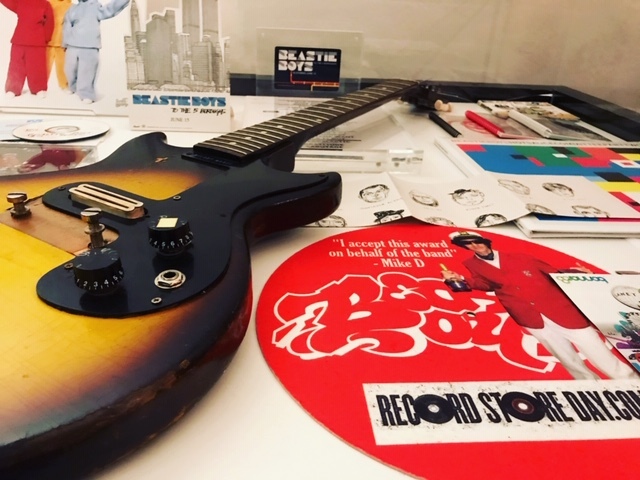 Go rock their beats. Go get that body movin’.